The number of stores has grown from eight to thirty-seven since 2011. 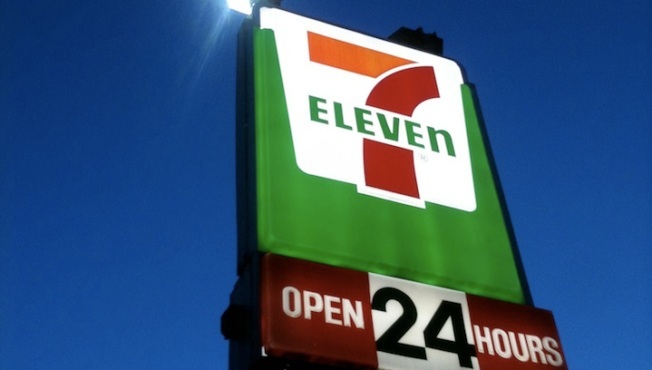 Though once usually associated with the suburbs, the 7-Eleven chain is growing aggressively in Manhattan, and New Yorkers have been less than welcoming, reports Crain's. The chain began growing its Manhattan numbers in 2011. Since then, the number of stores has grown from eight to thirty-seven. Five new stores have opened in the last six months. To try to win over New Yorkers, 7-Eleven launched a set of automated key-making kiosks. It's also started to introduce healthier food options, and is even trying out craft beer sales. Yet New Yorkers aren't quick to accept the new neighbots. A Lower East Side blog, No7Eleven, has staged rallies against the chain, and some landmarked buildings are particularly resistant. Neighbors are often worried that the introduction of a store will only welcome "noise and trash." But ready or not, New York, here 7-Eleven comes.